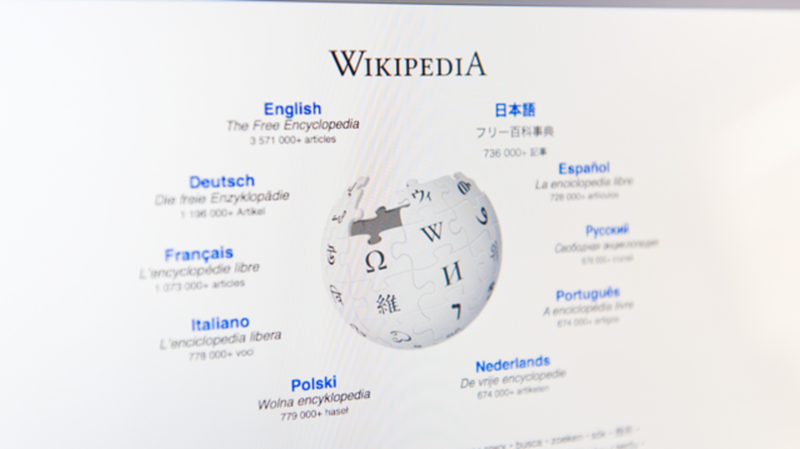 Since it launched in 2001, Wikipedia has attracted passionate contributors disputing everything from the height of André the Giant to the spelling of "Brazil." According to a new study published in PLOS One [PDF], artificially intelligent bots make up the site’s most relentless editors. Editing battles between software bots have raged on for years, and sometimes they only end when one party is taken out of commission, The Guardian reports. For the study, computer scientists from the Oxford Internet Institute and the Alan Turing Institute in London examined bot interactions during Wikipedia’s first decade online. Editing bots have been a vital part of the site’s maintenance since its inception. Every day thousands of bots remove vandalism, correct spelling errors, add links, and complete other general tasks beyond what humans can do alone, and sometimes they cross paths. When two algorithms contradict one another, they can go on undoing each other's edits for years. Between 2009 and 2010, Xqbot and Darknessbot duked it out over 3629 separate articles. A different battle between the bot Tachikoma and Russbot lasted two years. In that time they changed over 1000 revisions the other had made. Subjects of contention between the two included Hillary Clinton’s 2008 presidential campaign and the UK's demographics. The pages that sparked the most bot-on-bot conflict overall were those for former Pakistan president Pervez Musharraf, Nobel Prize-winning physicist Niels Bohr, Arnold Schwarzenegger, and the Arabic language. Language also played a large role in the automated edit wars. Portuguese bots were the most combative, reverting the edits of their peers an average of 185 times in 10 years. German bots, on the other hand, only picked editorial fights an average of 24 times over the decade. Bots don’t give in as easily as human editors do, and they also engage in slower battles. People receive instant alerts when someone reverts their edits, while it usually takes bots about a month to see a change that has been made. Programming AI systems to interact with each other is becoming increasingly important. In January, we got a fascinating peek at what a conversation between two Google Home devices looks like. They were much more civil than the Wikipedia bots—they discussed God, their existence, and eventually made plans to get married.